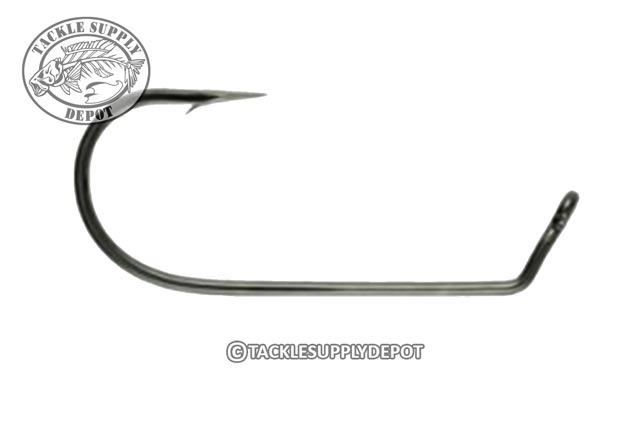 The 594 series is Gamakatsu's 60 degree Flat Eye Round Bend Jig Hook uses heavy wire and is excellent for use in both fresh and saltwater. Featuring the strength and sharpness to hold up to the strongest fish and most difficult conditions, these jig hooks with not flex under pressure like the competition. NS Black finish.